“Red Dead Redemption” is the latest massive adventure game from Rockstar games, the makers of the “Grand Theft Auto” series. If any game deserves a bandwagon of cheering fans, it’s this one. Simply put, “Red Dead Redemption” is awesomeness incarnate. 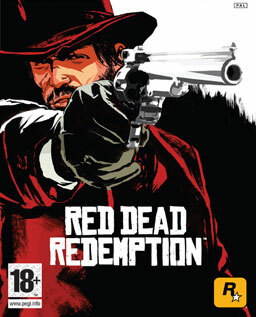 The main storyline follows the reformed gunslinger John Marston whose family has been incarcerated by a government agency as leverage to force him to hunt down the leader of his former gang. But that is far from all the story has to offer. Like the “Grand Theft Auto” series, “Red Dead Redemption” is a sandbox time-sink, offering video gamers countless hours of playtime. Unlike “GTA,” which is an anti-social and aggressive crime simulator, the western world of “Redemption” packs a lot of heart, rewarding a gamer who plays with a sense of moral accountability, as all actions have repercussions. The canon storyline missions range from protecting ranches’ chickens from coyotes, to infiltrating military bases. One of the highlight points of the game is a scenario where John Marston repeatedly encounters a mysterious man in a tuxedo and top hat staring off into space at strange and isolated locations. The man speaks in riddles and offers information that can only be recalled from Marston’s personal memory. He knows everything about Marston, and gives him missions to track people down and influence their moral choices. After doing this multiple times, Marston encounters the man spying on his family homestead and shoots him point blank, to no effect. As the man walks off, it’s obvious that the player has just encountered God, and is doomed or saved depending on how one played the missions. “Red Dead Redemption” is a leap in the right direction for people who want video games to be considered a legitimate artistic medium.